Conference on Social,Print,Electronic media and Pakistan's Interest. Government of Sindh's Municipal Training and Research institute Clifton Karachi,Opposite to bilawal house and NAB courts.
" Pakistan National Conference on Social,Print,Electronic media and Pakistan's National Interest." No power on this earth can block the truth as it is God who, being the truth Himself, guards it. Nowhere in history could the truth ever be suppressed, it always revealed itself in some other form and with dangerous consequences.British philosopher John Stuart Mill underlined the need for free speech mainly for three reasons. He believed that freedom to read or write is an important element to expose and reveal the truth, to ensure self-development and self-fulfillment of citizens and to help ensure participation of the citizens in a democracy. The media plays an extremely important role in transmitting the claims of social, economic and political movements to the decision-makers and the public. A free press and electronic media is an essential attribute today of a democratic polity because only these sources of information can keep not only information flowing freely but also help maintain a constant dialogue between the policy makers and the masses. 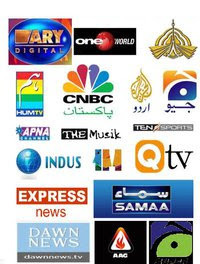 In Pakistan the media as a pillar of state,has came through certain restriction and was totally controlled by center,which did not let it,to groom itself and reach to a level of maturity,where it serves as a platform to safeguard national interest and to create awareness of society . On the other hand social media in Pakistan,including FACE BOOK,TWITTER, SKYPE, Social Blogging, Cell Phone Applications are highly being used in Pakistan,but the question is that whether we are achieving any national interest through social media or has it been a successful platform to create awareness on social,religious,national and international issues in society. * Seminar on Role of Print and Electronic media in Pakistan. > Federal Minister for Information. > Journalists from Print and Electronic media. > Guest from I.S.P.R ( Pakistan Army ). > President Sindh Bar council. > Federal and Provincial Minister. * DIALOGUE on Role of Media and Youth of Pakistan. ( Followed by Question and Answers session). * Strategy planning to achieve Pakistan's National Interest through Social,Print,Electronic media. > National and local bloggers. > Getting Advantage of Social media in creating Pakistan's soft and positive image around world. Pakistan Association for Young Leaders Development and Training. FTC branch Karachi l National bank of Pakistan. Do keep a photo copy of your Demand draft or pay order with you.